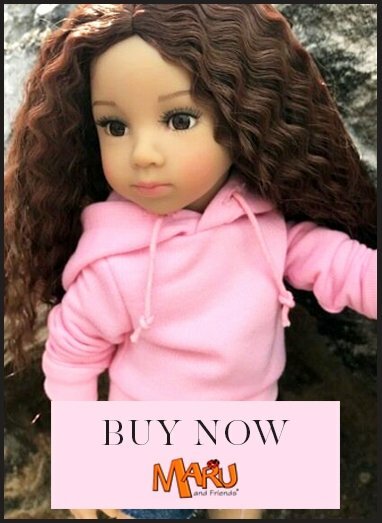 1.1 This website is owned and operated by My Doll Best Friend Ltd. Our company information is at the end of this document. 1.4 We may change these terms and conditions at any time. Please check them carefully as they will apply to any new purchases occurring after the effective date shown. 2.2 You have the right to cancel this contract within 14 days without giving any reason. 2.4 To exercise the right to cancel, you must inform us My Doll Best Friend Returns, 34, Boyton Hall Farm, Boyton Hall Lane, Roxwell, Essex, CM1 4LN, [email protected], phone 0343 289 4250 of your decision to cancel this contract by a clear statement (e.g. a letter sent by post or e-mail). You may use the model cancellation form at the end of this document, but it is not obligatory. 2.5 To meet the cancellation deadline, it is sufficient for you to send your communication concerning your exercise of the right to cancel before the cancellation period has expired. 2.6 If you cancel this contract, we will reimburse to you all payments received from you, including the costs of delivery (except for the supplementary costs arising if you chose a type of delivery other than the least expensive type of standard delivery offered by us). 2.7 We may make a deduction from the reimbursement for loss in value of any goods supplied, if the loss is the result of unnecessary handling by you. 2.9 We will make the reimbursement using the same means of payment as you used for the initial transaction, unless you have expressly agreed otherwise; in any event, you will not incur any fees as a result of the reimbursement. We may withhold reimbursement until we have received the goods back or you have supplied evidence of having sent back the goods, whichever is the earliest. 2.10 You shall send back the goods or hand them over to us without undue delay and in any event not later than 14 days from the day on which you communicate your cancellation of the contract to us. The deadline is met if you send back the goods before the period of 14 days has expired. 2.11 You will bear the direct cost of returning the goods. 2.12 You are only liable for any diminished value of the goods resulting from the handling other than what is necessary to establish the nature, characteristics and functioning of the goods. 4.2 You place your order by using the ordering process on our site. This involves selecting the goods, placing them in the shopping cart and transmitting the order to us by clicking on the “Place Order” button. This process permits you to check and amend any errors before making an order by using the change function and/or the internet browser back button. 4.4 We will send you a confirmation email after your order but please note that a binding legal contract is formed only when we accept your offer as stated below. 5.1 There will be a binding contract only when we accept your offer by emailing you to confirm that we have despatched the goods to you. Until then we may decline to supply the goods to you without giving any reason. Nothing else that we do or say (e.g., sending the confirmation email immediately after the order) will amount to acceptance of your offer. 6.1 Payment is in advance by the means stated on our payment page. Despatch of the goods is subject to our receipt of full payment in cleared funds. 10.3 You will be responsible to us for any reasonably foreseeable loss or damage we suffer arising from your breach of this agreement (subject of course to our obligation to mitigate any losses). 13.1 These terms and conditions shall be governed by English law and any disputes will be decided only by the courts of the United Kingdom. You may be entitled to use an EU online dispute resolution service to assist with any contractual dispute you may have with us. This service can be found at http://ec.europa.eu/consumers/odr/. Our email address is customerservice[at]mydollbestfriend.co.uk. 14.1 We may send all notices under this agreement by email to the most recent email address you have supplied to us (unless otherwise stated in this agreement). Headings used in this agreement are for information and not binding. Any failure by either party to exercise or enforce any right or provision of this agreement does not mean this is a “waiver” (i.e. that it cannot be enforced later). If any part of this agreement is ineffective or unenforceable for any reason, then the rest of the agreement shall continue to apply. We may transfer this agreement to a third party but this will not affect your rights or obligations. A person who is not a party to this agreement shall have no rights to enforce this agreement except insofar as expressly stated otherwise. 1.3 These terms and conditions apply to use of our website including our forum. The sale of goods via our website is subject to separate terms and conditions. 3.2 You must comply with any guidelines or requirements on our website. 3.3 You must promptly comply with any reasonable request or instruction by us in connection with our website. 3.4 You must ensure that any contact or other information which you supply to us is accurate and not misleading and you will update it so that it remains so. 4.1 You are responsible for your content posted on our site. 4.2 You promise to us that you have (and will retain) all rights and permissions needed to enable use of your content. 4.3 If you use any features on our site which enable you to share your content with third party sites, we are not responsible for use of your content on those third party sites. 4.4 We reserve the right without notice or refund to suspend, alter, remove or delete content or to disclose to the relevant authorities or to a complainant any content or behaviour if it is the subject of complaint or where we have reason to believe that it breaches our terms and conditions, or that such steps are necessary to protect us or others, or that a criminal act has been committed, or if we are required to do so by law or appropriate authority. If so, you must not attempt to re-publish or re-send the relevant content. 4.5 We do not accept responsibility if your content is misused by other users as this is outside our reasonable control. 4.6 We reserve the right to place advertisements adjacent to or within your content. We retain all revenue from such advertisements. 5.1 You accept that we have no obligation to vet or monitor other users. We accept no legal responsibility for the accuracy of, or otherwise in relation to, any content posted by users or in connection with any dealings between users. You should not assume that any content from another user is accurate and be aware that a person may not be who he or she claims to be. 5.2 You acknowledge that in using the website you may be exposed to offensive or other inappropriate content or behaviour. If so, you must notify us immediately by using our Contact Us form. We are under no obligation to enter into dialogue on the receipt of a complaint, nor are we obliged to act on every complaint received or to advise you of any action we do decide to take. All complaints must clearly explain the reason for complaint. If appropriate, you should seek relevant external help, for example from law enforcement authorities and/or stop using the website. 6.1 Any guidance or similar information which we ourselves make available on our website is intended as very general guidance information but we cannot guarantee that it is accurate or up to date and we do not accept legal responsibility for it. Before acting on such information, you must make your own appropriate and careful enquiries including as to its accuracy and suitability for your purposes. 7.1 We may link to third party websites which may be of interest to you and/or include third party advertising on our site and/or use third party-provided services on our site. We do not recommend or endorse, nor are we legally responsible for, those sites or services. You use such third party sites or services at your own risk. 8.1 You acknowledge and agree that we may process your personal data in accordance with the terms of our Privacy and Cookies Policy which is subject to change from time to time. 9.1 We do not guarantee that our website will be uninterrupted or error-free and we are not responsible for any losses arising from such errors or interruptions. We are entitled, without notice and without liability, to suspend the website for repair, maintenance, improvement or other technical reason and to make changes to our website. 10.1 If we permit you to create an account on our website, this is for your personal use only and is non-transferable. You must not authorise or permit any other person to use your account. You must take reasonable care to protect and keep confidential your password and other account or identity information. You must notify us immediately of any apparent breach of security such as loss, theft, misuse or unauthorised disclosure or use of a password. You are responsible for third parties who use your account or identity (unless and to the extent that we are at fault). 10.2 We are entitled at any time with or without notice or giving reasons to terminate your account on our site including deletion of all data contained therein. 11.1 All trade marks, logos, content (including our website’s structure and layout), graphics, images, photographs, animation, videos, text and software used on this site are our intellectual property or that of our suppliers, partners or other users. For the purposes of your personal use only, you may view such material on your screen and print a single copy. You may not otherwise use, sublicense, retrieve, display, modify, copy, print, sell, distribute, download, hire, reverse engineer (unless permitted by applicable law) or create extracts of, or derivative works from, such material without our specific prior written consent. 11.2 Just to be clear - you must not collect, scrape, harvest, frame or deep-link to any information on our website without our specific prior written consent. 11.3 You license (i.e. permit) us to use your content both on our own website and also, for marketing purposes, on other channels including different websites, social media and emails. 12.1 Nothing in this agreement in any way limits or excludes our liability for negligence causing death or personal injury or for fraudulent misrepresentation or for anything which may not legally be excluded or limited. In this section, any reference to us includes our employees and agents. 12.2.4 such loss or damage relates to a business of yours. 12.3 You will be liable for any reasonably foreseeable loss or damage we suffer arising from your breach of this agreement or misuse of our website (subject of course to our obligation to mitigate any losses).